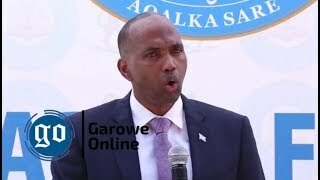 MOGADISHU, Somalia - The leaders of Somalia's Federal member states and the central government are set to convene a high-level roundtable meeting in Mogadishu later today, Garowe Online reports. The talks expected to focus on key outstanding issues on the ground, including the deepening political rift between the regional administrations and the Somali Federal government led by President Farmajo. The leaders are in deadlock over resources sharing, constitutional review process, and the country's position on the Gulf diplomatic crises. 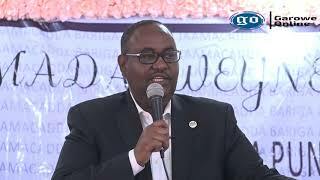 The President of Southwest State, Sharif Hassan Sheikh Aden arrived in Mogadishu on Friday, while the remaining is due to land in the capital early in the morning before the consultative forum kicks off. Somali President Mohamed Abdullahi Farmajo will open the conference, with attendance of top government officials, Ministers, Federal MPs from both houses of the Parliament and foreign diplomats. 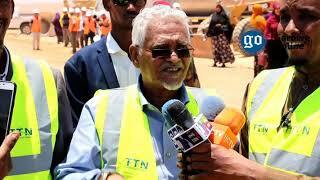 Reliable sources tell GO that differences emerged between the committees from regional states, officials from the office of the Prime Minister in regard to the role of Benadir regional administration in crucial talks. 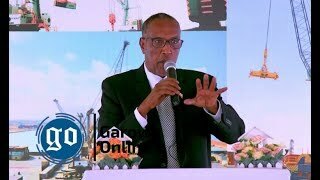 The representatives of the Federal member states are unhappy about the PM's office plan to include the governor of Benadir region Thabit Abdi Mohamed in the participants of the leaders' meeting. 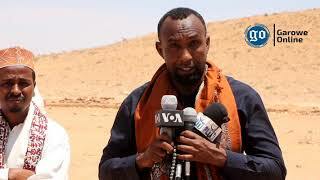 On the other, Southwest State officials who are currently in Mogadishu say a deputy Minister in the Federal government hailing from Bay and Bakol regions went to Baidoa on a mission to oust the state's President Sharif Hassan, Sheikh Aden. 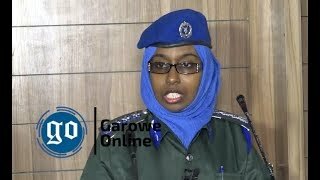 The officials who declined to be named told GO that the Federal Deputy Minister took bags of cash to Baidoa, the interim administrative capital of Southwest State to bribe opposition MPs against Aden. "The Federal government is playing a dual political agenda. It is showing the international community it's meeting with Federal member states, while the other side working on a mission to oust some regional leaders," a senior Southwest official told GO. This comes days after the Somalia's Upper House Chamber of Federal Parliament has appointed a committee to participate in the consultative meeting in Mogadishu, while its role in the forthcoming talks still unclear. "The Senate members were elected from the regional administrations and they represent their constituencies so that we expect to have a role in the meeting and the leaders' talks," a Senator, told GO on condition of anonymity. During the meeting, the leaders are will try to find a solution for their dispute over the constitutional affairs and the other main issues that led to the current political differences.